WestJet cancelled flights to Turks and Caicos, telling passengers the local airport instructed it to suspend service following Hurricane Irma. Now the airline admits that wasn't accurate and that it cancelled flights for business reasons. In response to a CBC News investigation, WestJet has admitted it mistakenly told passengers that hurricane-related airport restrictions had forced it to cancel Turks and Caicos flights. The airline now says it actually cancelled flights from Oct. 11 to Dec. 16 for business reasons. It's currently contacting affected passengers to apologize. Patricia Mombourquette of Edmonton says she never quite believed WestJet's original explanation. "I was suspicious and didn't feel that they were being upfront at all." 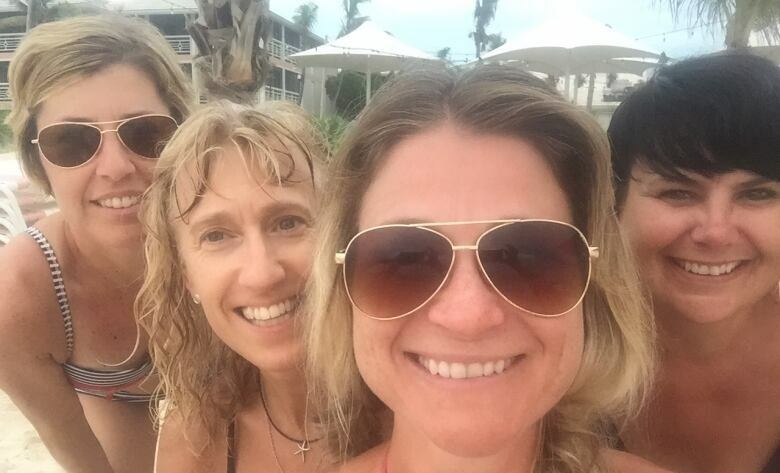 She and three friends were set to fly from Toronto to Turks and Caicos on Nov. 8 to celebrate her 50th birthday at a resort. On Oct. 15, the four women learned WestJet had cancelled their flight and would refund their money. Mombourquette asked the airline for added compensation considering they had to rebook at a much later date with Air Canada and the tickets were slightly more expensive. 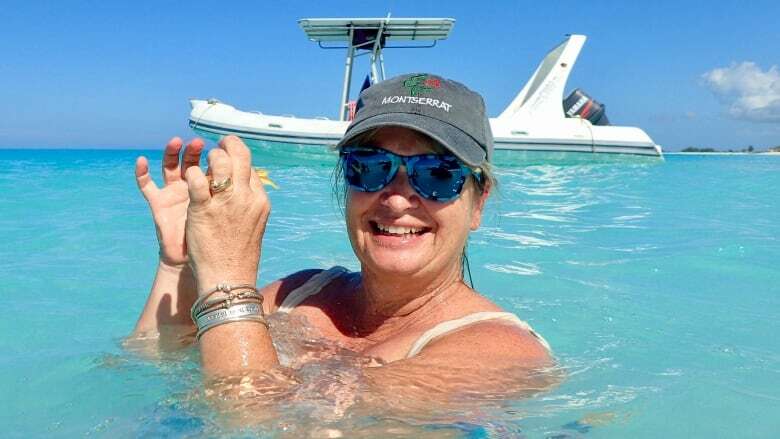 Instead, WestJet told her in an email that "due to damage caused by Hurricane Irma," which struck in early September, it had to cancel flights to Turks and Caicos. WestJet said its hands were tied because the local airport authority had instructed the airline to suspend service until Dec. 15. Mombourquette thought the explanation didn't add up because numerous other airlines were still flying to Turks and Caicos, including Air Canada. "It's very suspect that WestJet is the only airline being told not to fly in," she said. "I wanted to respond and say, 'This is bunk.'" After hearing Mombourquette's story, CBC News contacted the Turks and Caicos Islands Airports Authority. 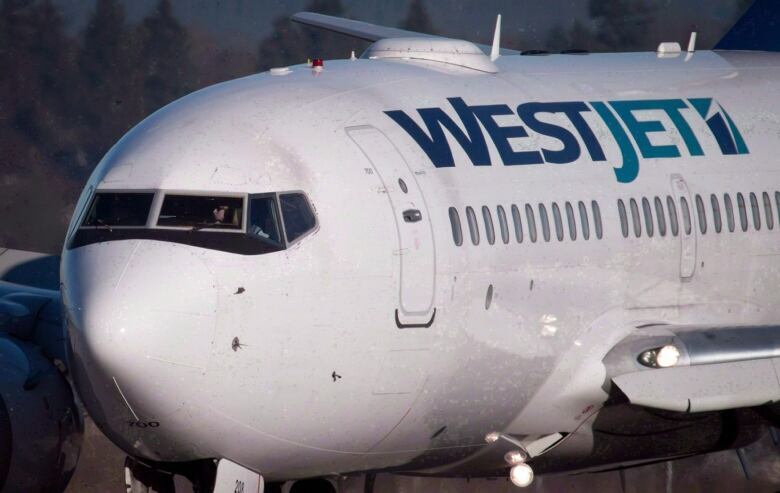 It denied it was preventing WestJet from landing at its international airport. "I don't know why WestJet would still be using that as an excuse when it's not based on fact," spokesperson Lavern Skippings Reynolds said. According to her, Providenciales International Airport has been fully operational since Sept. 11 with the exception of a one-day closure on Sept. 22 due to Hurricane Maria. She says WestJet is the only commercial airline that hasn't returned to the airport. 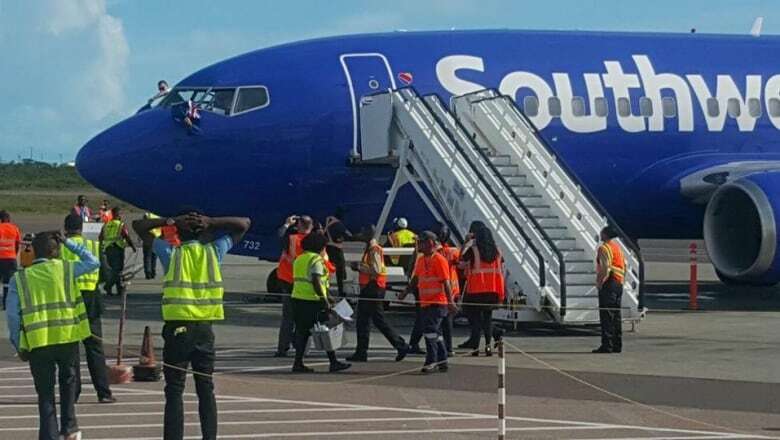 In fact, on Nov. 5, it even added a new carrier, Southwest Airlines. "The airport is fully open for business," Skippings Reynolds said. 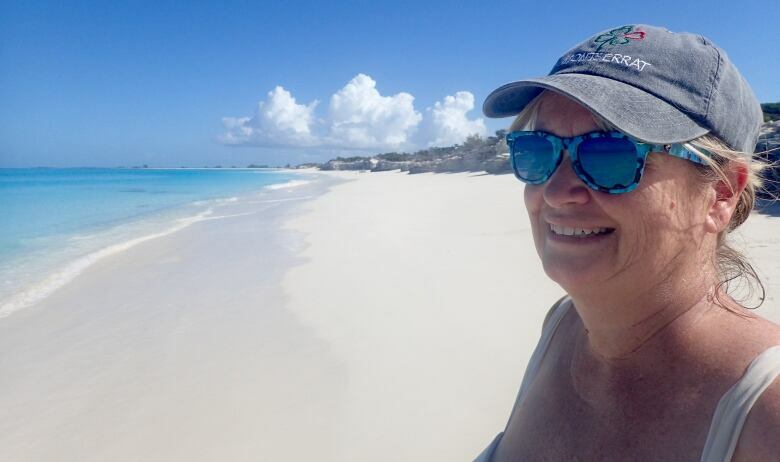 Karen Lawson lives in Turks and Caicos and knew the international airport was open when WestJet cancelled her Nov. 15 return flight from Toronto. She pointed this out to the airline, which replied in a Facebook message on Oct. 16 that the airport was still closed to commercial airlines such as WestJet until Dec. 16. Lawson didn't buy it. She surmised that the airline had cancelled flights because the large Turks and Caicos Beaches resort, which had some hurricane damage, isn't reopening until Dec. 14 — two days before WestJet would resume service. "Don't blame it on the hurricane and don't blame it on the airport authority. That's just not fair," she said. Lawson, who co-owns a charter tour company, was also upset that WestJet was sending the message that Turks and Caicos was still suffering from the effects of Hurricane Irma. She says the main tourist areas experienced minimal damage and returned to normal operations within a few weeks. "WestJet is hindering our ability to promote tourism," she said. "I'm very disappointed with how they handled this. And I think they actually owe Turks and Caicos an apology. They owe their [customers] an apology." WestJet is now offering that apology plus an explanation for providing customers with incorrect information. The airline said there were two waves of cancellations for Turks and Caicos flights. The first one started immediately after Hurricane Irma hit the island on Sept. 7. At the time, WestJet decided to suspend service until Oct. 8. The airline said it then decided to cancel flights again from Oct. 11 to Dec. 16 because hotel partners such as the Beaches and Club Med had yet to reopen for business. WestJet said it mistakenly told the second-wave passengers the same explanation it had given passengers during the first wave: that the airport was damaged — a detail that was no longer true. "This issue was brought to our attention in late October and we immediately corrected the wording and the reasoning behind the cancellation in subsequent notifications," WestJet spokesperson Lauren Stewart said in an email. CBC News asked Stewart about compensation for passengers whose flights were cancelled for reasons unrelated to an airport closure. She declined to comment. But on Friday, shortly after CBC received its response from WestJet, both Mombourquette and Lawson were contacted by the airline. A customer service representative offered each of them an apology and an offer to cover any added costs when they rebooked their Turks and Caicos flights. Both women say they appreciate the gesture, but still feel uneasy about how it all went down. "I told [the rep] that I found it strange that no one from WestJet had reached out to me prior to CBC investigating," Lawson said. "I found that disappointing." Passengers scramble after WestJet, Air Canada cancel Puerto Rico flights. Who's to blame?